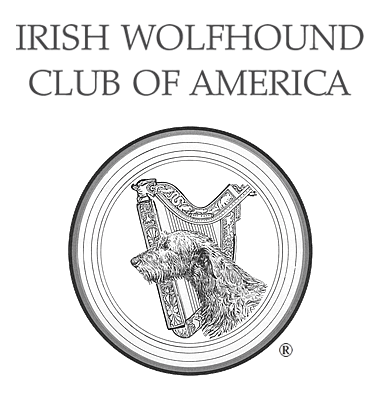 IWCA Policies - Irish Wolfhound Club of America, Inc. These policies have been established at IWCA Board meetings or at General Membership meetings in order to clarify and augment the By-Laws. A date in parentheses (if one appears) after an item represents the Board Meeting or Annual General Meeting at which the policies were voted into effect. This is intended to be a living document with updates as new policies are established. New policies will be published in the minutes of Board Meetings and AGMs, and updates to this document may be published as needed. If you, as a member, feel that any policy needs to be changed or added, a written proposal should be submitted to the Secretary and the chairman of the policy committee. Policies are not intended to override or alter any of the By-Laws. Receive applications for membership in the club. Provide list of applicants to the secretary and to the editor of Harp & Hound for publication, and receive resulting letters of comment. The Board minutes will be published on the website within 30 days of the Board meeting and in the next Harp & Hound (07/30/2016). If there is to be a general mailing it will be sent out to arrive thirty (30) days before the next Board meeting. All election results are to be posted ASAP at show headquarters and at the show site. (05/03/1995). Comprised of up to four (4) members. At least two (2) of the committee member must be IWCA Board members. To oversee the selection of the conformation judge and the puppy sweepstakes judge for the IWCA National Specialty show. Must have owned Irish Wolfhounds for at least 10 years. Owning and raising at least 6 puppies from 6 months to 2 years of age. Must have put a conformation championship on at least 1 Irish Wolfhound as its owner or handler. Must be in good standing with the AKC, IWCA and dog community. Active (voting) members are invited to submit suggestions or nominees to the Judge's Selection Committee. Committee will verify that the nominees are willing to be considered and are eligible before presenting to the IWCA Board for selection. From the eligible nominees, the Board will select three individuals and rank them 1 through 3 for contact. IWCA Secretary or President or their designee will contact each person by rank to offer the assignment as soon as practical or within 10 days of selection. A contract will be prepared for the judge's signature and the IWCA Treasurer's signature. The contract will be sent to the judge who has accepted the assignment in 30 days from the acceptance. Selected by popular vote of the Active IWCA membership. Two (2) judges are elected for the National Specialties following the vote by two (2) and three (3) years. Requested from active (voting) members in the fall of even years. Active members may nominate up to three (3) judges. Nominations are tallied at the winter Board meeting (odd years). The secretary or his/her designee will contact the five (5) nominees to request biographies for the membership voting materials. Judge election ballots mailed with the membership voting materials. All judges on the ballot are ranked in order of the number of votes received. The judge election results will be announced at the IWCA Annual General Membership meeting following the election. Within 30 days of the completion of the election, the IWCA Secretary or his/her designee will contact the judge with the most votes to their choice of one of the two years of specialty assignments. The second-ranked judge will be given the opportunity to take the other year's assignment. If any judge refuses, the assignment(s) will be offered to the next ranked judge(s) until the assignment is accepted. A contract will be prepared for the judge's signature and the IWCA Treasurer's signature. The contract will be sent to the judge at least one year in advance of the specialty once the dates and locations are determined. Junior Showmanship, Performance (lure coursing) and companion event (obedience and rally) judges will be selected by the Show Chair. With the publishing of the 2013 yearbook (05/02/2016) this committee no longer exists. It is expected that the complainant be in attendance at a Board Hearing. In the event that a Judge engaged by the IWCA to judge its National Specialty is unable to fulfill his/her assignment, the Judge(s), in contracted order will be given first right of refusal. If a substitute is not established, then the results from the most recent judges’ election will be utilized, starting with the next judge on the list until the position is filled. Regional Specialties may not be held sooner than one month prior to the National Specialty and 30 days later than the National Specialty. Dates for Regional Specialties must be approved by the Board of Directors of the IWCA. The IWCA Board may approve Regional Specialty Dates for 3 years in advance. During the membership renewal period, one member/breeder of each household may complete the Breeder Directory form on the IWCA website. Space on the form will be provided to include the contact information as it would appear on the directory. The Secretary shall forward this contact information to the IWCA webmaster. Contact information will include: Member's full name, Kennel name (optional), City, State, Telephone number (optional), Email address. Each breeder is required to sign and abide by the IWCA Standard of Behavior for Breeders. Any Active member in good standing with the club is eligible to be listed on the online Breeder Directory. The IWCA reserves the right to remove a breeder from the on-line directory if he/she is not in good standing with the IWCA or the AKC. Breeders will provide referrals only through the IWCA Breeder List, IWCA Contact list or the IWCA Rescue list. Breeders will be listed alphabetically by their last name under the state in which they reside. The following directory of Irish Wolfhound breeders is provided by the Irish Wolfhound Club of America strictly as a public service. Listed breeders have signed the IWCA Standard of Behavior for Breeders and have authorized the publication of their names and contact information on this website and are solely responsible for the content and accuracy of their listings. Breeders who are current IWCA members are eligible to be included in the Breeder Directory, whether or not they currently have puppies or adult dogs available for sale or placement. Please be advised that the IWCA does not inspect or monitor the facilities, breeding practices or sale, refund or return policies of its member-breeders, and therefore provides no guarantee, warranty or endorsement, express or implied, with respect to any listed breeder, or animals produced or sold by them.